ADL downplays controversy over anti-Israel texts in curriculum of Newton, Mass. The Anti-Defamation League (ADL) and Americans for Peace and Tolerance (APT) are at odds over the presence of anti-Israel materials in the public school system of Newton, Mass. Click photo to download. The anti-Israel "Arab World Studies Notebook," which has appeared in the public school curriculum of Newton, Mass. Credit: Amazon. APT—a Boston-based nonprofit “dedicated to promoting peaceful coexistence in an ethnically diverse America by educating the American public about the need for a moderate political leadership that supports tolerance and core American values in communities across the nation”—is calling for reforms in Newton schools to prevent the reappearance of those materials, most notably the Arab World Studies Notebook, which claims that Israeli soldiers murdered hundreds of Palestinian nurses in Israeli prisons. 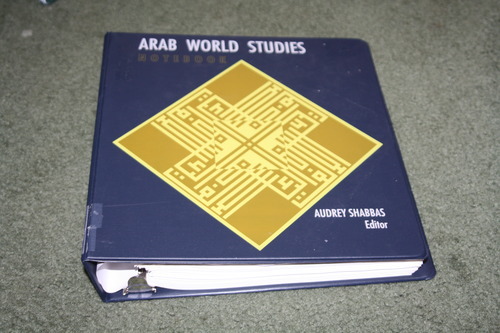 According to the Newton School Superintendent David Fleishman, the Arab World Studies Notebook was removed from Newton’s public school curriculum. Nevertheless, many parents and other citizens have expressed concern about other anti-Israel materials they say remain in distribution. Local ADL leaders, however, are downplaying the uncertainty as to which anti-Israel texts are still being used in Newton classrooms. “There is currently no evidence of ‘Saudi-funded hate education’ in Newton public schools,” Acting Director of ADL’s New England Region Robert Trestan and ADL New England Region Board Chair Jeffrey Robbins wrote in a recent letter to the editor in The Jewish Advocate of Boston. Click photo to download. 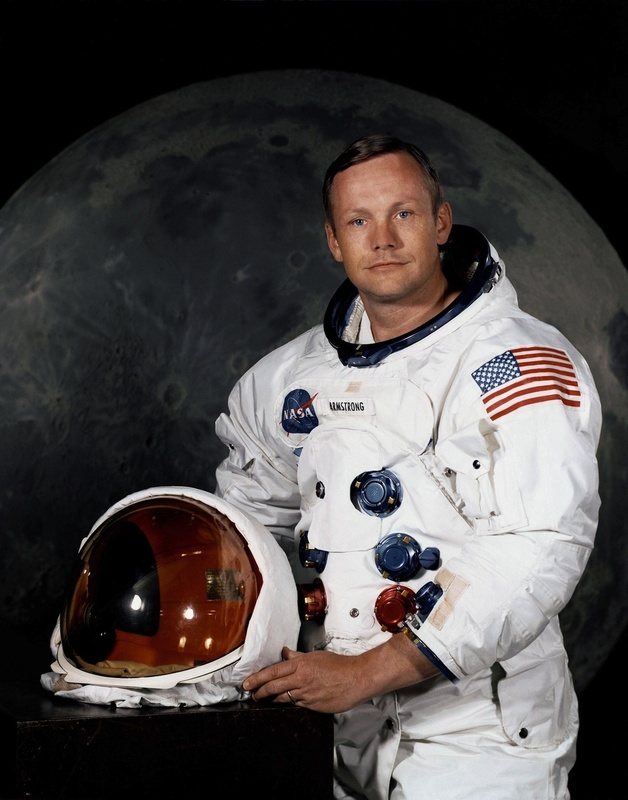 Caption: Neil Armstrong, who according to "A Muslim Primer" converted to Islam and was threatened to be fired by the U.S. government if he did not "keep his new religion to himself. Credit: NASA. Research by concerned parents and students in Newton has indicated that questions surrounding the curriculum extend beyond the Arab World Studies Notebook. This research, which was obtained by JNS.org, reveals the presence of controversial texts in the Newton curriculum that include the following: A Muslim Primer, which claims that astronaut Neil Armstrong converted to Islam, but that the anti-Muslim U.S. government warned him “to keep his new religion to himself or he could be fired from his government job;” Choices for the 21st Century Education Program, which speculates that a U.S. Navy ship off the coast of Egypt mistakenly bombed by the Israeli air force during the 1967 Six-Day War had been intentionally targeted by Israel; World History-Human Legacy, which, in its discussion of the Jewish state’s 1948 victory in the War of Independence, omits that Arabs rejected the United Nations partition plan and attacked Israel after independence was declared; and Flashpoints, which claims that “over recent decades, Israel has continuously strengthened its influence over American domestic politics and Middle East policy,” also asserting that Tel Aviv, not Jerusalem, is the “capital” of Israel, and that Jerusalem is the capital of Palestine. Fleishman declined to comment in this story when contacted by JNS.org. Warren did not return a request for comment. Trestan and Robbins wrote in their letter that through contact “with several individuals with direct knowledge of the curriculum in question,” ADL believes Newton authorities “acted responsibly in looking into the matter, and in addressing it appropriately.” But APT President Charles Jacobs disagrees with that assessment, and questioned ADL’s defense of Newton schools in The Jewish Advocate. Both Trestan and ADL’s national office did not return requests for comment from JNS.org. The APT advertisement further stated, “The hard-working taxpayers of Newton provide funds so that the city’s children receive the best—and a decent—education, free of hateful propaganda, based on truth.” Jacobs elaborated on what prompted APT’s advertisement with JNS.org, noting that the Newton curriculum controversy is part of a national problem. Posted on April 15, 2013 by Jacob Kamaras / JNS.org and filed under News, U.S..